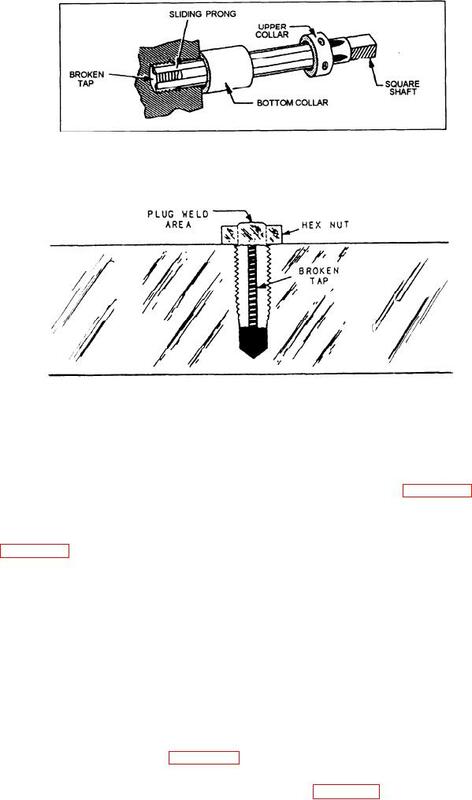 Figure 13-21.--Removing a broken tap with a tap extractor. then finish it with a bottoming tap as shown in view B. Replace the original capscrew or stud with a larger size. back the tap out of the hole. 3/8, 7/16, 1/2, 9/16, 5/8, 3/4, 7/8 and 1 inch. hole, adding penetrating oil as necessary.